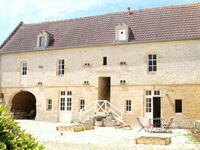 Property 1: Nice house near Bayeux in an exceptional site. Property 6: "The house of Aimé"
Cottage in the quiet of the countryside of the Pays d'Auge. Property 17: Cottage in the quiet of the countryside of the Pays d'Auge. Gite, 8 people very comfortable, 145m2. Label Gite de France. Property 25: Gite, 8 people very comfortable, 145m2. 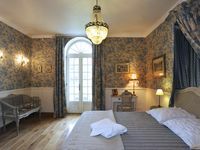 Label Gite de France. Beautiful furnished cottage near the landing beaches. Property 42: Beautiful furnished cottage near the landing beaches. Chez Caroline - A quirky countryside cottage. Property 49: Chez Caroline - A quirky countryside cottage. Spacious, clean, modern, quiet, well maintained, comfortable apartment. Owner lives on site and is friendly, helpful and rapidly responsive to questions and concerns. Excellent location for exploring Normandy and the D-day beaches. Highly recommended. Very comfortable for our family of 5. Lise was very accommodating and helpful! Be sure to try breakfast at least once. My daughters loved the cute picnic basket with homemade jam and hot chocolate. And of course wonderful warm bread. Close to the landing beaches, Bayeaux and Caen. Highly recommend!